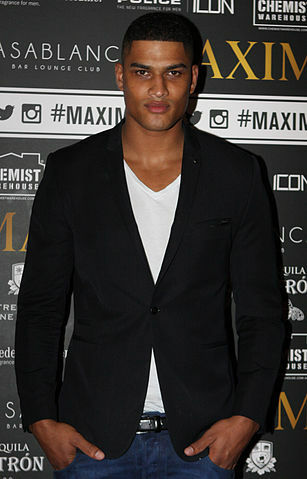 Rob Evans was born in Belfast, Ireland, United Kingdom, on January 25, 1989, is an Britis male model. Evans was discovered by model scout, while he was training to be a boxer in Spit'n'Sawdust Boxing & Fitness Gym in Banbury, England. His favourite film is Scarface (1983) with Al Pacino. He made his acting debut in short action drama film The Cyclist (2012) in role as Boxer. He was a judge on Tyra Bank’s hit reality show America’s Next Top Model (2012-2013). August Man Malaysia, The Financial Times-How To Spend It Magazine, Manifesto Cover, Portrait, V Man, People Magazine, DSECTION, Interview, GQ U.S., Spanish V, Fiasco, i-D Magazine, CLIENT, Schön Magazine, L'Officiel Hommes China Cover, Vogue Hommes Japan, BL33N Editorial, Johnson Magazine, Carbon Copy, Love, L'Officiel Hommes, THE END, Numero Tokyo, Self Service. House of Fraser, Calvin Klein, Givenchy. Walked runway for Moschino, Jeremy Scott, Jean Paul Gaultier, Givenchy, Trussardi, Philipp Plein. Represented by agencies Major Model Management New York, Next LA, Storm Model Management London, VIVA Models Berlin, IMM Bruxelles, New Madison Paris. I'm pretty much the same age as these girls, so I can vibe with them on a different level. When I first started modeling I was thrust into the deep end, so I worked with the top photographers, top magazines, and the top female models. I've only been in the industry for two years but I know a lot about it. We’d go for dinner when we were filming and she would call me up in New York but we were never "officially dating". (about dating Tyra Banks). When I was in America I would go to some test shoots and they would say to ‘Blue Steel’ or to ‘Magnum’. But I didn’t understand what they where talking about, then I watched Zoolander.